2018 Summer Newsletter is here! 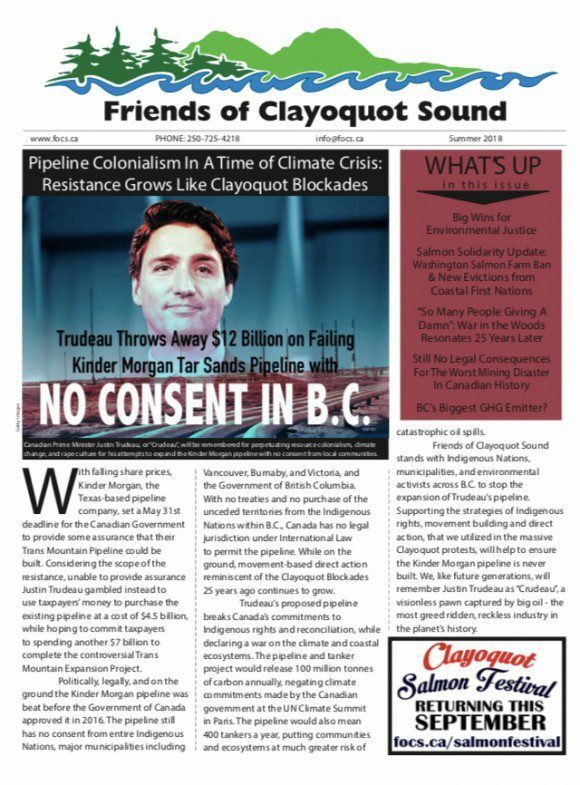 » Friends Of Clayoquot Sound 2018 Summer Newsletter is here! Click here to download (PDF): FOCS Summer 2018, or find print copies at many outlets in Tofino and around BC. Contact us if you are interested in helping with distribution in your area.